What tools are salespeople using when engaging with customers? Where and how does this engagement occur? How effective are salespeople at engaging with customers? When does the engagement process need to be enhanced, modified or replaced? 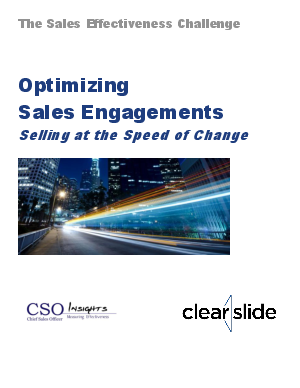 We invite you to download the findings in the Sales Engagement Optimization study.